“A silent queue formed in front of the cash desk. Each girl had a two guinea dress on her arm. 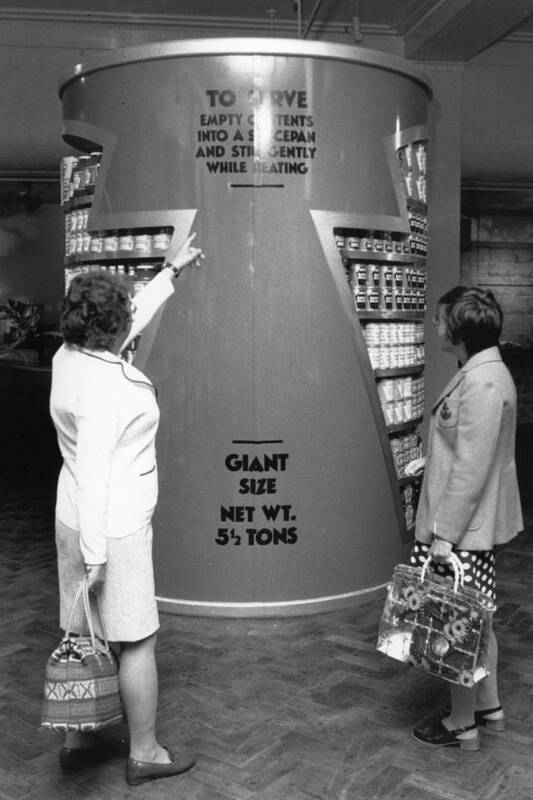 Nobody knew the price, they just held their purses open. I had sold every dress by 11 o’clock.”. Hulanicki worked as a fashion illustrator after studying at Brighton Art College in the late 1950s. 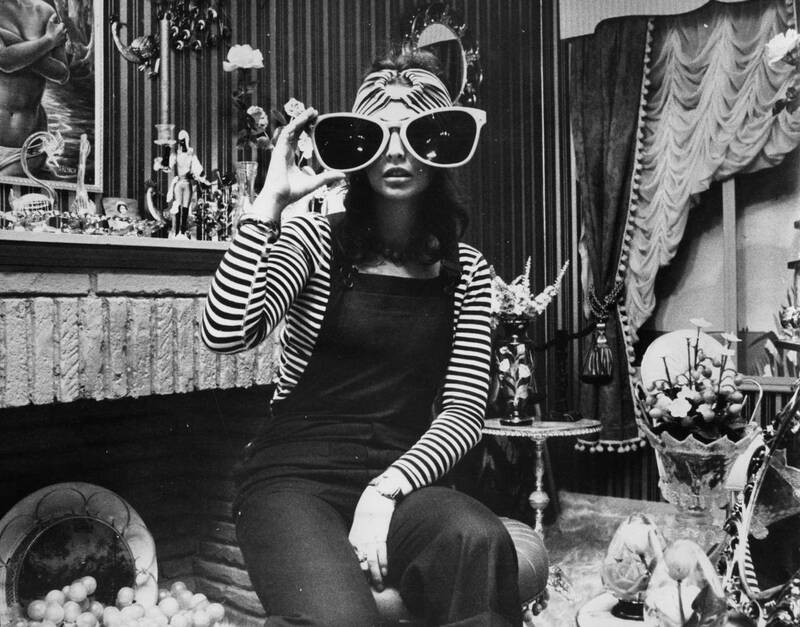 She married advertising executive Stephen Fitz-Simon and together they opened a mail order clothing company that she named Biba’s Postal Boutique. The name came from the nickname of her younger sister Biruta. 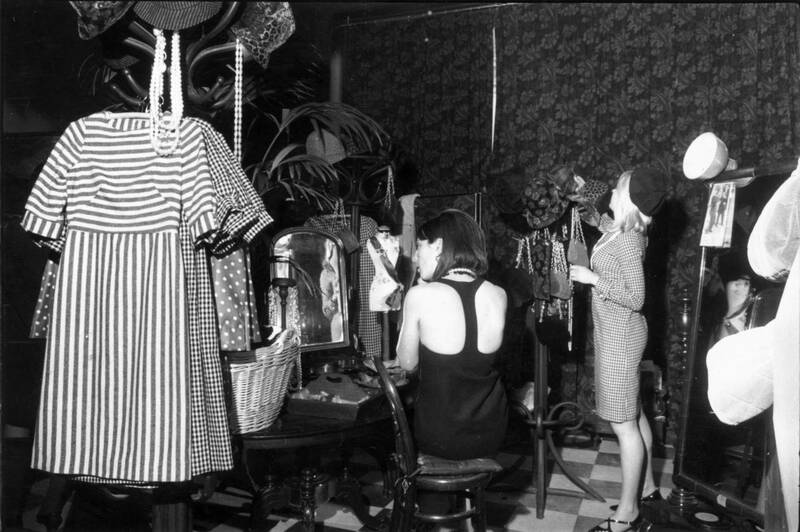 The first Biba boutique opened on Abingdon Road in Kensington in September 1964. It had been a chemist’s shop and been closed for many years. There were lots of black and gold signs left around and the windows were painted halfway up with scratched black paint with gold leaf edges. The woodwork outside was covered in peeling blue-green paint. It was a few months before, however, in the previous May when Biba had its first significant success when the Daily Mirror, as part of an article by Felicity Green (possibly the most influential of Fleet Street’s fashion editors at the time), offered ’a “Barbara” summer shift’ for sale. The pink gingham dress had a hole cut out of the back and it came with a matching triangular kerchief similar to one Brigitte Bardot had been seen wearing. The sugar-pink gingham fabric had been bought from John Lewis and Hulanicki had presumed that the mills around Manchester had bales of the stuff lying around. 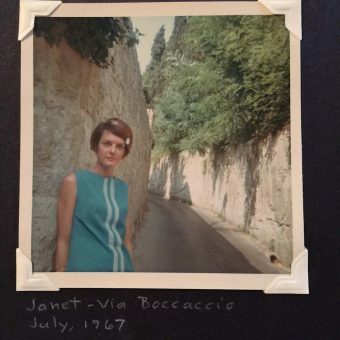 It was similar to one recently worn by Brigitte Bardot and the orders came flooding in. Four thousand orders had come in within twenty-four hours of the mention in the Mirror. Ultimately some 17,000 of the dresses were sold and Biba made a profit of five shillings a dress. 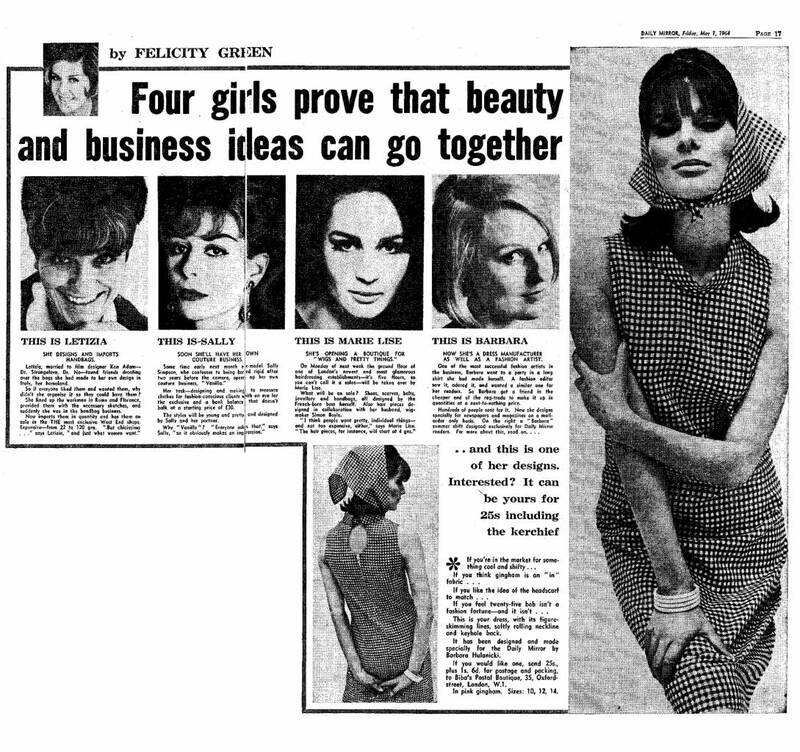 “This is your dress, with its figure-skimming lines, softly rolling neckline and keyhole back.” – Daily Mirror, May 1964. The dress was modelled by Paulene Stone. 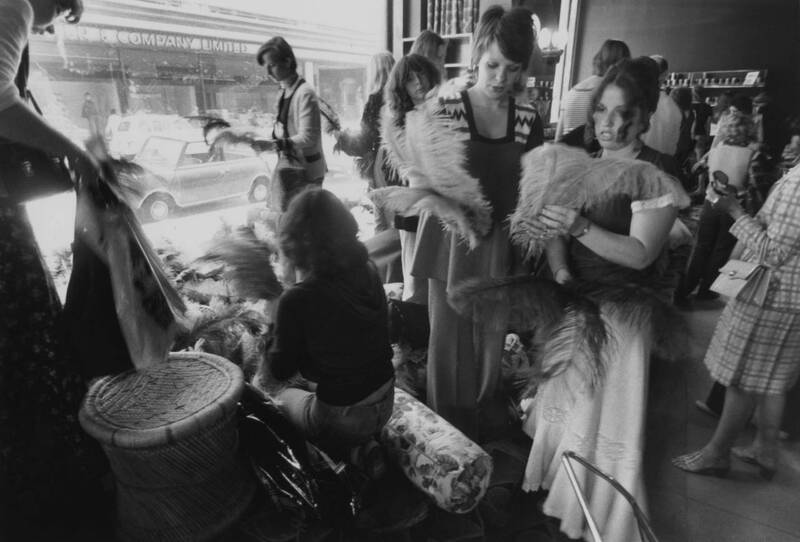 Hulanicki realised that something was happening when she first encountered her new customers at Biba’s first shop on Abingdon Road which opened in 1964. The Daily Mirror had featured a Biba dress in an ad which read: “Make the most of the little girl look in a smock of dark brown chalkstripe!” When Hulanicki arrived at 10 o’clock on the Saturday morning it opened; “…the curtains were drawn across the window… the shop was packed with girls trying on the same brown pinstripe dress in concentrated silence. Not one asked if there were any other styles or sizes,” Hulanicki remembered, “A silent queue formed in front of the cash desk. Each girl had a two guinea dress on her arm. Nobody knew the price, they just held their purses open. I had sold every dress by 11 o’clock.”. Biba in 1966. Photo by Jon Lyons. 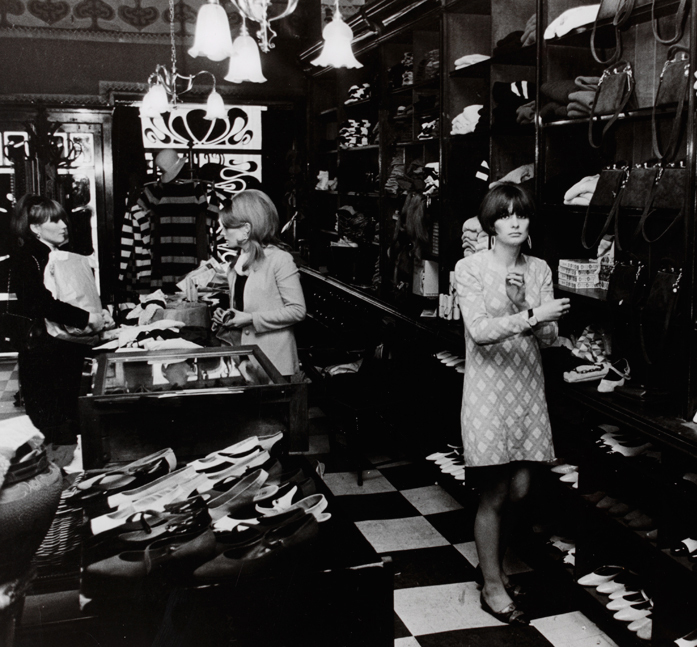 By the summer of of 1965 Biba had outgrown Abingdon Road and eventually they found an old grocer’s shop on Kensington Church Street. It was empty and had a large wooden front. Six months later it was theirs. Our first Saturday was astonishing. The shop was four times the size of Abingdon Road but as crowded as the little one had been. The changing rooms looked like a bomb had hit them. Every Saturday the takings were bigger than the previous week. Biba was, in its time, an astounding phenomenon; the fabric of the highly-coloured Sixties was so strong that it became part of the folklore of that period. 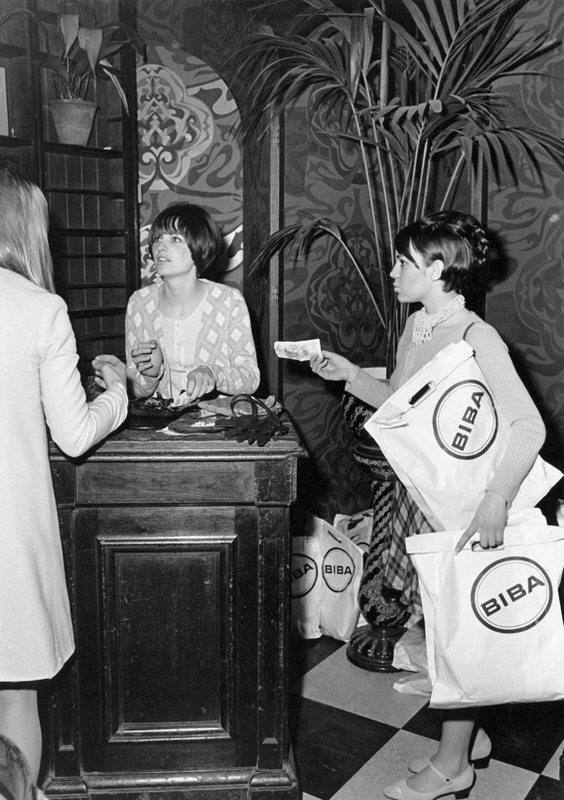 But Biba was not merely a shop, it came to represent a complete philosophy, and for many the end of Biba marked the end of an era. The streets of London were suddenly filled with Biba girls: beautiful and skinny with never-ending matchstick legs, their faces painted dead white, eyes fringed with soot-black false lashes. 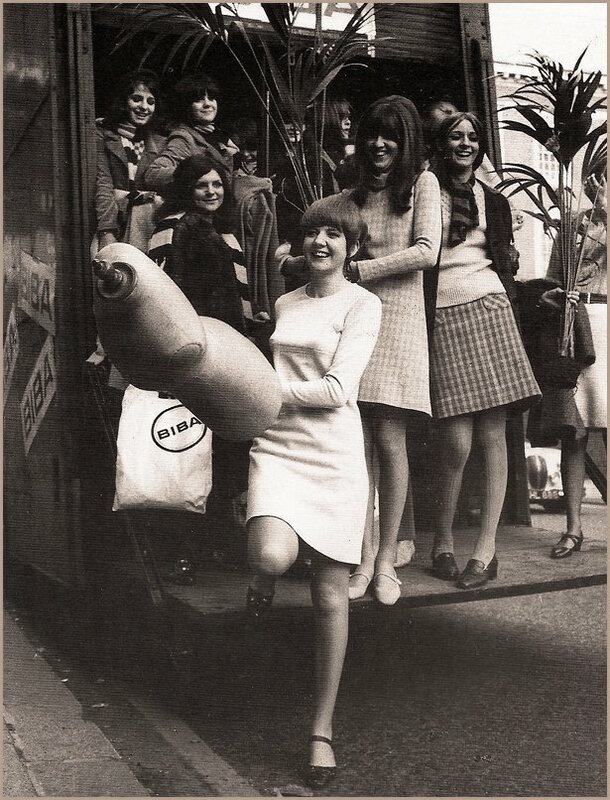 In 1969 Biba sold control over to the Dorothy Perkins high street fashion chain. 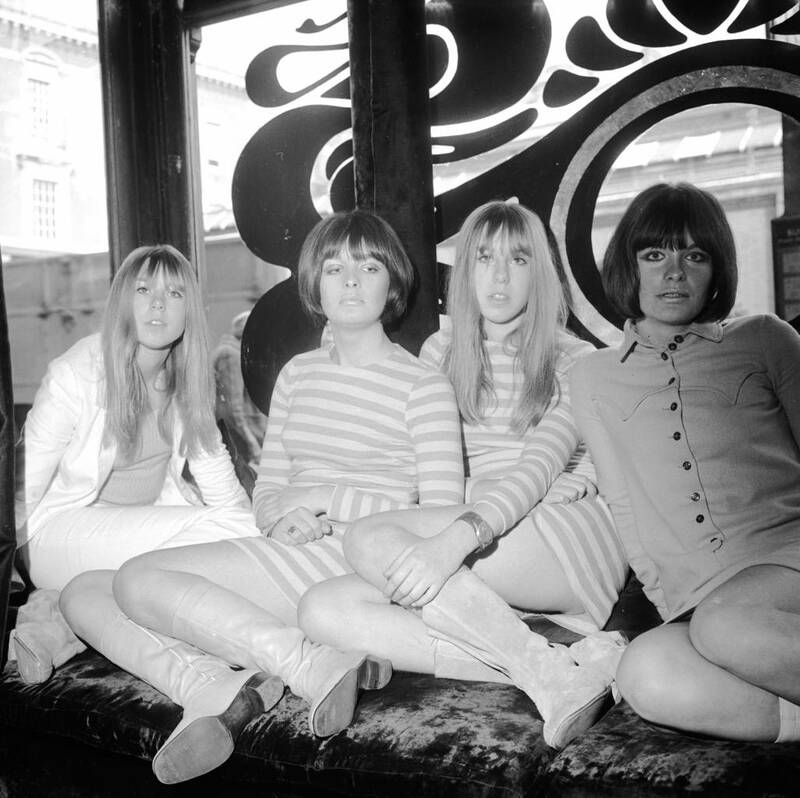 Biba still seemed to still flourish and expand and after two years Dorothy Perkins was brought by a property company called British Land. 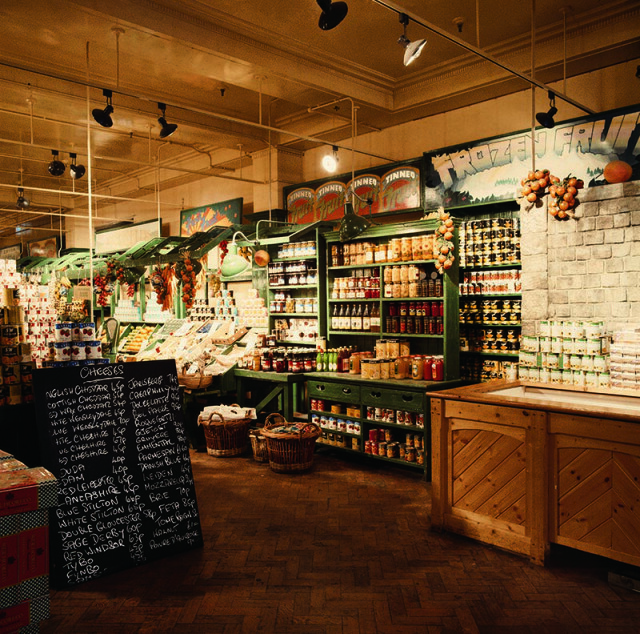 In 1973 the store moved to the seven-storey Derry & Toms department building. 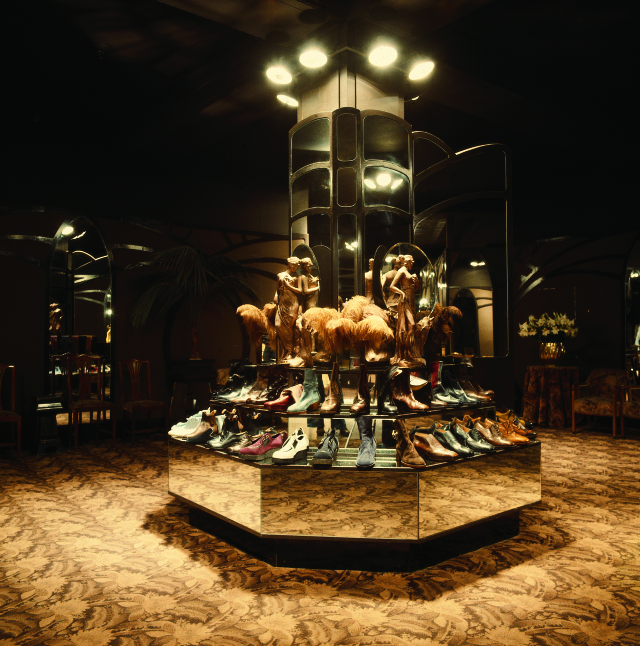 Initially the huge 20,000 sq ft Big Biba store seemed a big success and it attracted close to a million customers a week, making it, some have said, one of the most visited tourist attractions in the capital at the time. 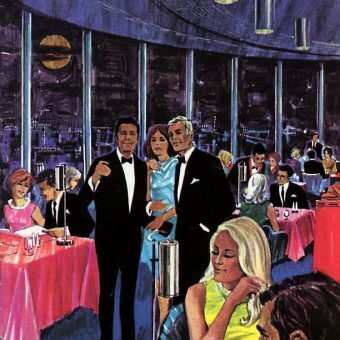 Each floor of Big Biba had its own theme, such as a children’s floor, a floor for men, a book store, a food market, and a “home” floor which sold items such as wallpaper, paint, cutlery, soft furnishings and even statues. 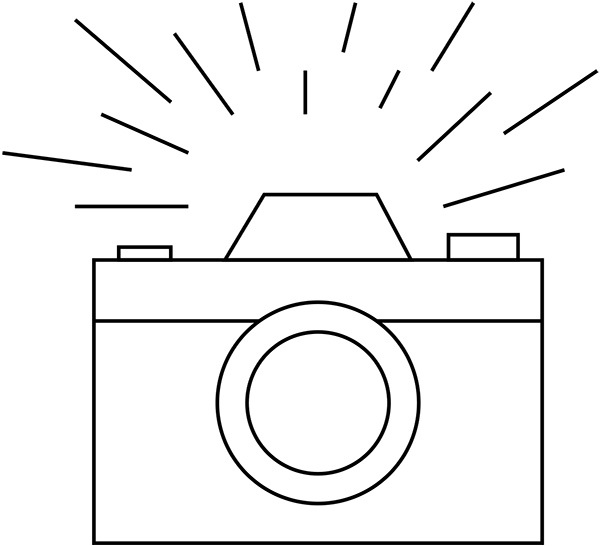 Just as it seemed that nothing could affect this charmed existence, disaster struck and a bad mail order season turned a booming business into a financial disaster almost overnight. 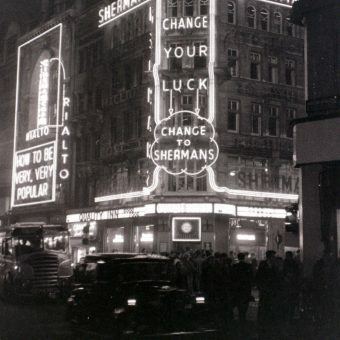 For those who treat the glittering emporium as a way of life, along with the thousands of young mothers who, as girls, flocked to the erstwhile boutique when there was such a thing as swinging London, Ritblat’s fat cigar will confirm all their prejudices about property tycoons. His property company, one of Britain’s biggest, has owned Biba for only two years, buying control three months before the firm moved from its 9,000 sq ft temple of dollydom in Kensington High Street into the 200,000 sq ft Derry and Toms premises across the road. 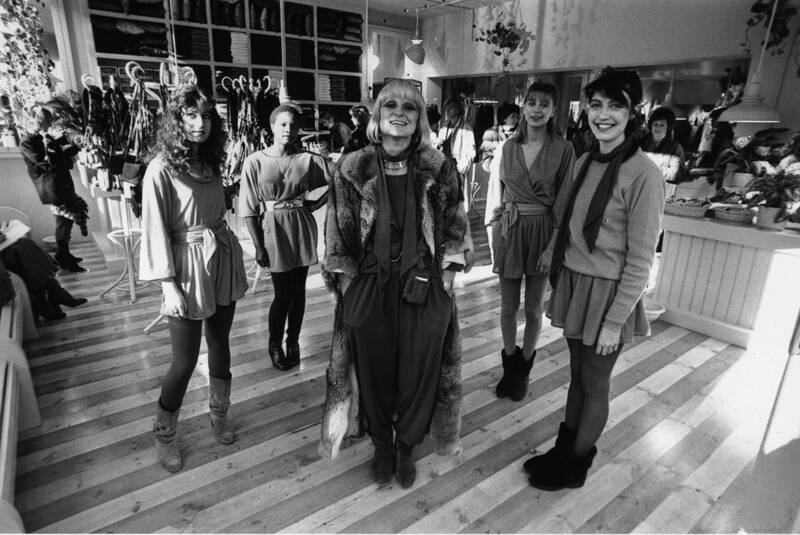 After disagreements with the British Land Board about creative control, Barbara Hulanicki left the company she had founded in 1975. 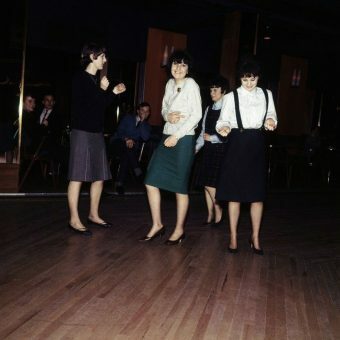 Biba was closed soon afterwards by the British Land Company after it was decided that the Derry and Toms building was worth more than the ailing business itself. The trademark to Biba was bought by a business with no connection to Barbara Hulanick, and they opened a store in November 1978 on two floors in Conduit Street in Mayfair. 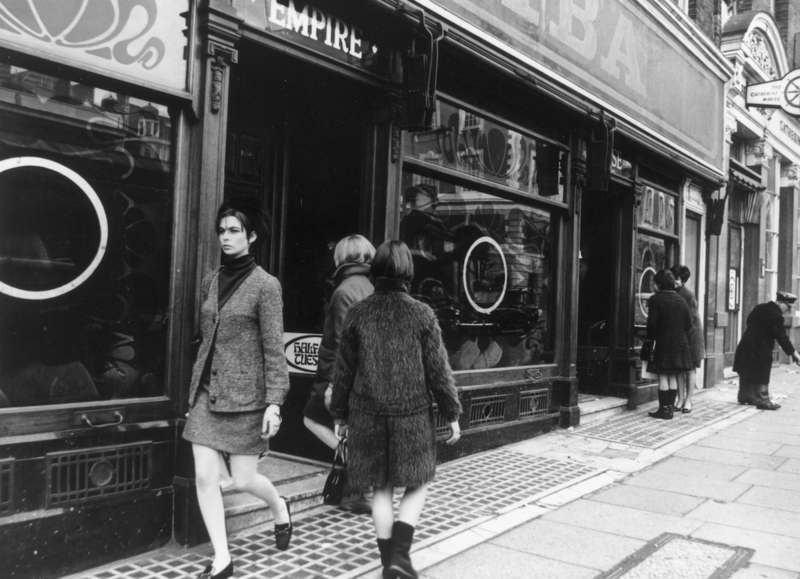 The heyday of Biba had gone and the shop was not a success and it closed just over 18 months later.